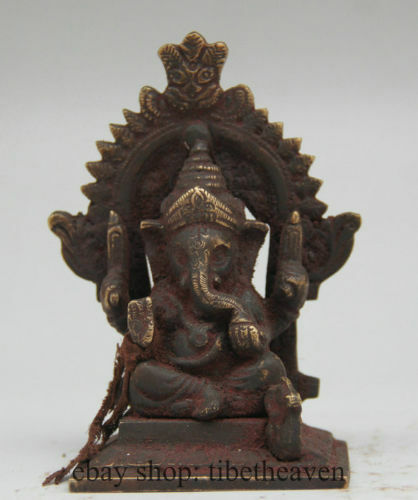 In Buddhism elephants are symbolic of mental strength. 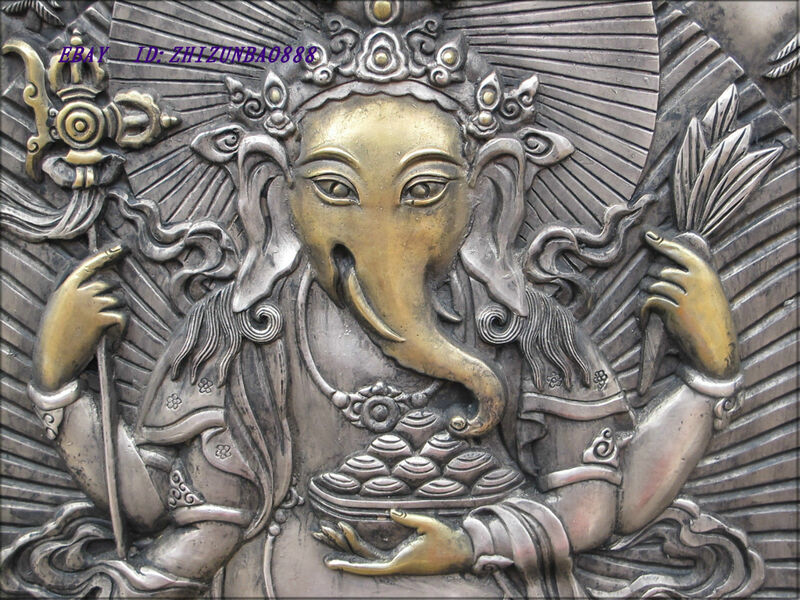 Patron of arts and sciences and symbolic of learning and wisdom, Ganesh is widely revered not only in the Buddhist, but Hindu world as well. Buddha was also born an elephant in some of his earlier reincarnations. 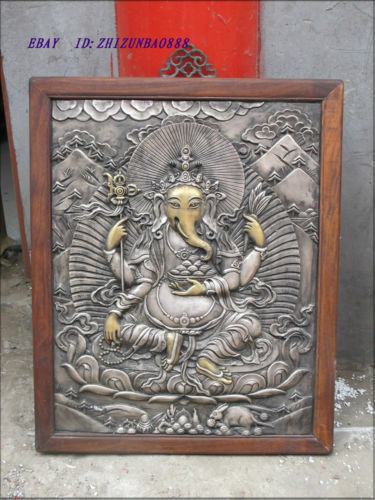 Tibetan deities tend to more closely follow and resemble Hindu gods and myths from India than that of the Chinese- though it may be that Tibet and Nepal has had far more influence over India over time, rather than Tibetan and Nepalese Buddhism just borrowing from Indian mythology. Which is the source? It is important to know where one comes from, and why if Tibet is so far removed from the habitat of elephants, it is still such an important symbol. Another clue that Tibetans perhaps haven’t always lived where they are at, but have been pushed to higher and higher pastures and more remote locations over time. The story of the Qiang people are an example of this phenomenon that is recorded historically. Something so small as these shrines and not made of gold or silver wouldn’t have been worth much. 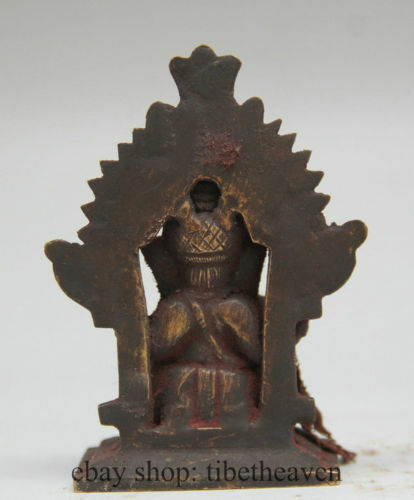 Even if the rightful Tibetan owners were under tough financial times, they never would have sold these sacred objects. They were well loved as the covering of kumkuma power can attest as well as attached cloth strips for offerings.